The battle lines had been drawn, and Americans picked up their weapons. The Civil War was about to change the face of the nation as they knew it. 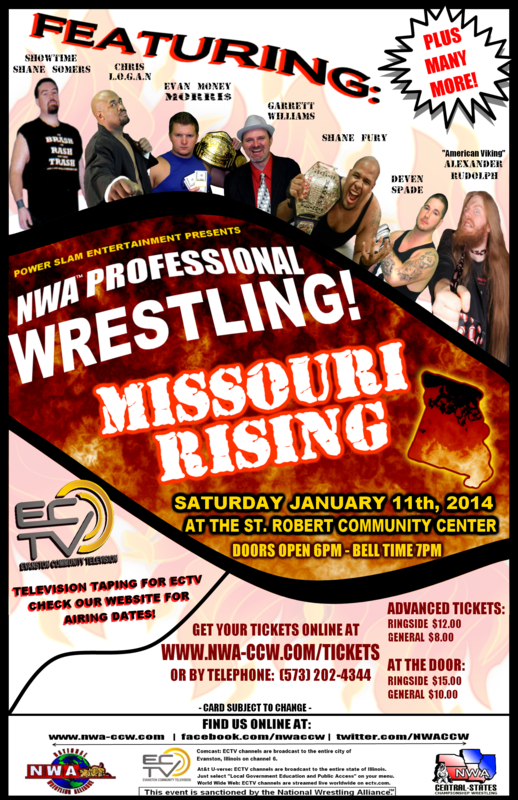 Most of us are familiar with the battle that raged on the East coast, but what about the Midwest? Few realize the impact the Civil War had on both historic, and present-day Pulaski County. While alliances were mostly clear in the East, loyalties were much hazier in Pulaski County. Missouri was Confederate territory and, indeed, Waynesville initially flew the Confederate flag. 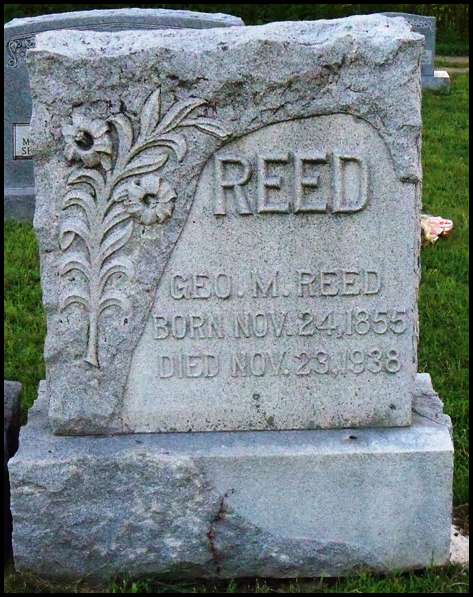 The rugged terrain and relative isolation of the Missouri frontier shielded locals from strong opinions for or against slavery, however, and secession from the Union held little immediate consequence. As debate raged in the young country, the prevalent support in Pulaski County remained with the South; the presidential election of 1860 yielded only seven votes for Abraham Lincoln to John Breckenridge’s 281. As war became imminent, however, opinions began to shift, and this trend continued throughout the war. In Pulaski County, neighbors, families and friends found themselves on opposite sides of the battlefield. It soon became clear that the key supply road from St. Louis to Springfield would be critical to either side’s success, placing Pulaski County as a main thoroughfare. What is now Route 66 was, at the time, a path for transporting troops and supplies for each army; the Union Army eventually strung a telegraph wire along the route, resulting in its nickname of “The Wire Road”. 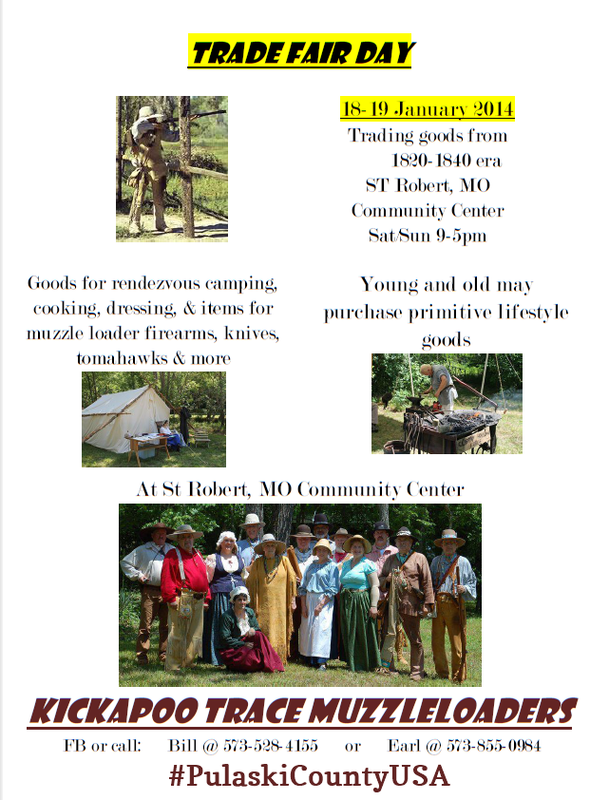 Fort Waynesville in Staat Missourie U.S. 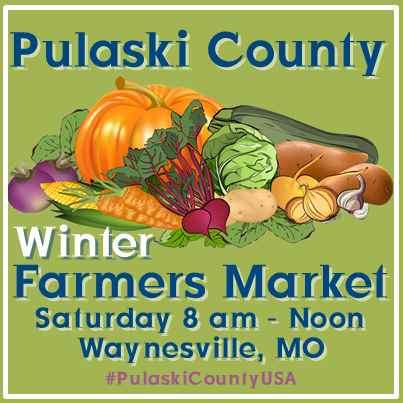 Many Pulaski County farmers joined either the Union Army or Confederate militias or guerrilla groups , and by 1862, Waynesville had become the center of the war in Pulaski County. While a few women remained to support local fighters, most fled with their children to safer territory. 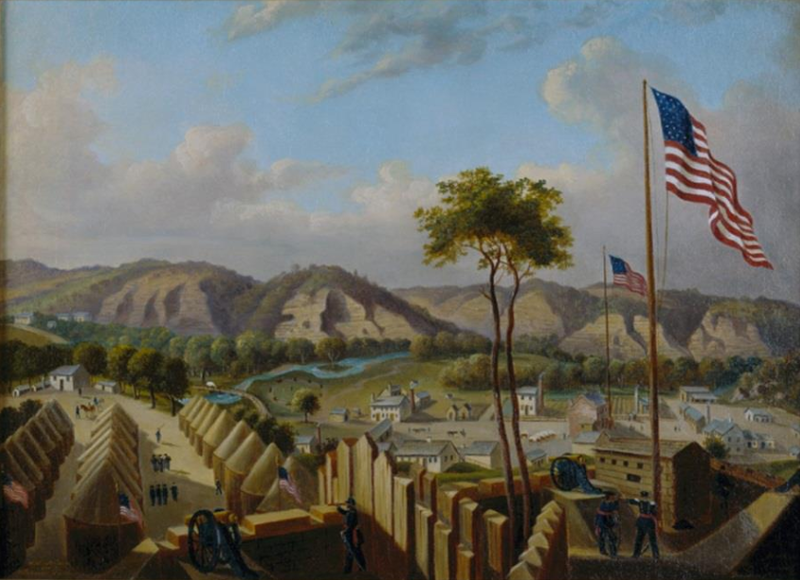 Union soldiers took over the town and erected a large fort on Fort Street, overlooking the downtown square. A marker at the site is now all that remains of the fort. The Pulaski County Courthouse was so badly damaged by rifle fire that it had to be torn down in 1870. The stagecoach stop, which still stands as The Old Stagecoach Stop museum in downtown Waynesville, was converted to a hospital for wounded soldiers. 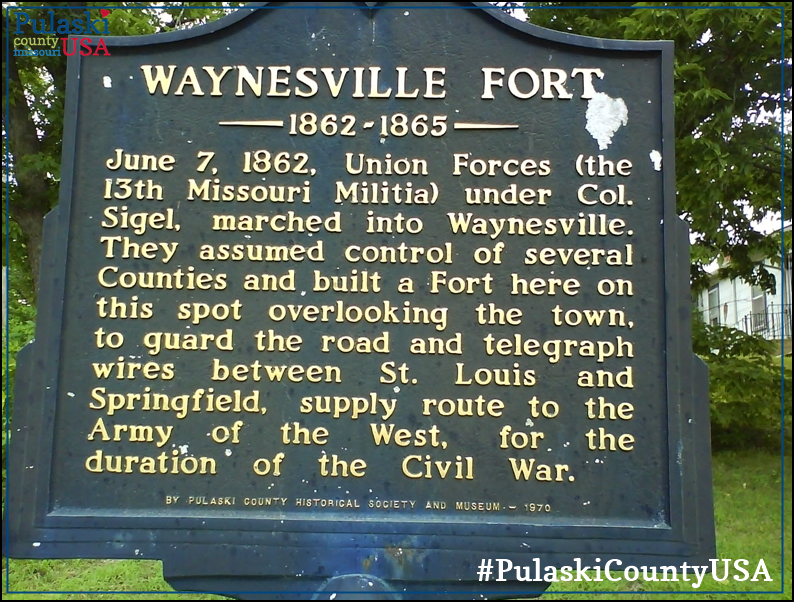 Waynesville Fort Historical Marker erected by Pulaski County Historical Society and Museum in 1970. Photograph courtesy of Laura (Abernathy) Huffman, 2009. As Union forces patrolled the streets, the wilderness was alive with Confederate militias that ambushed supply wagons. Pulaski County’s rugged terrain and numerous caves changed the face of battle from traditional fighting methods to brief clashes between armies. The area was host to bloody skirmishes and raids. Old Stagecoach Stop, Waynesville, Missouri. Photograph courtesy of Laura (Abernathy) Huffman. 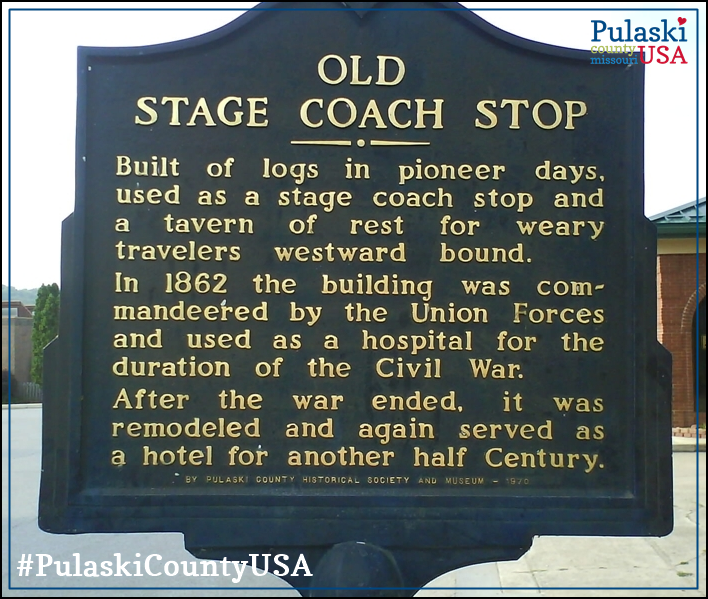 By the time Union troops left Waynesville in 1865, Pulaski County was deserted. Some estimates maintain that up to 75 percent of the population had left. Homes and farms were vacant. Buildings were looted and destroyed; livestock was gone, and farms were overgrown. Many citizens never returned; for a time the Ozark region remained dangerous territory. Fortunately, word of land ownership opportunity traveled east. Southerners who had lost their homes in the war seized the opportunity and headed west to establish new roots. 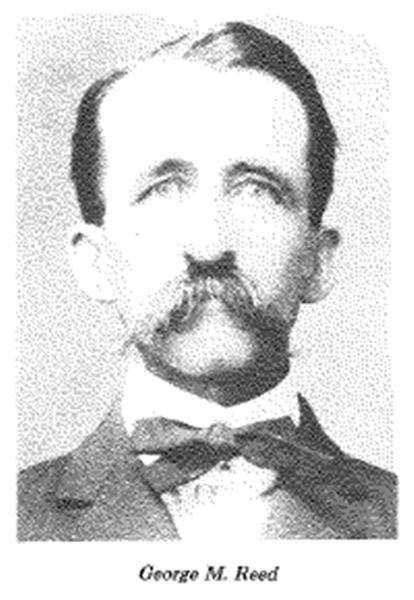 The Southern Pacific Railroad opened rail lines to Springfield, giving rise to numerous small towns along the tracks, opening new economic possibility and establishing much of modern-day Pulaski County. Historical marker erected in front of the Old Stagecoach Stop in Waynesville, MO in 1970 by Pulaski County Historical Society and Museum. Photograph courtesy of Laura (Abernathy) Huffman, 2009. History has not been forgotten. Pulaski County still holds many remnants of the Civil War, allowing glimpses into our rich past. Two markers indicate areas of interest from the battles. The Old Courthouse Museum holds many relics from county history; the Old Stagecoach Stop features a Civil War medical display as well as artifacts from local history. 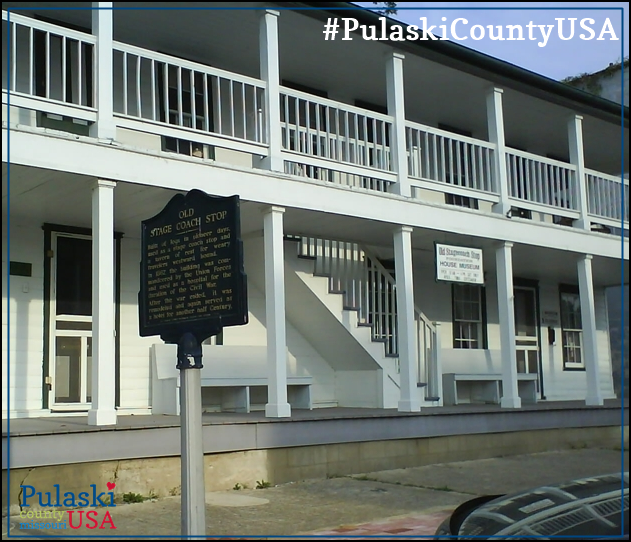 The original structure still stands as a testament to the ties that bind modern-day Pulaski County with memories of the past. 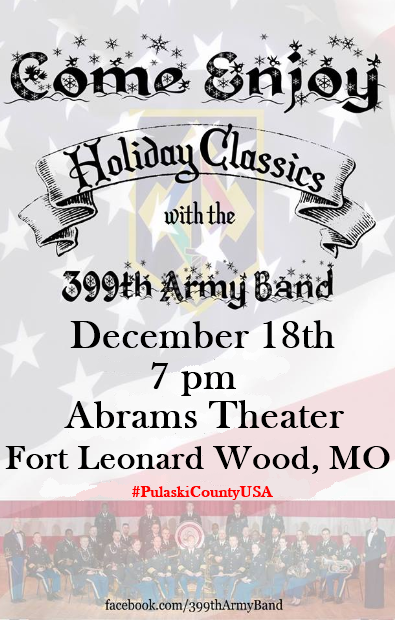 The text of this posting is a reprint of an article that appeared in “Visitor Guide Pulaski County Missouri” published by CommunityLink circa 2008. Vintage postcard featuring Ranch Motel on Highway 66 in Saint Robert, Missouri. Ranch Motel has been a landmark on Route 66 in Saint Robert, Pulaski County, Missouri since the 1940’s. Although not original to it’s construction, the facility was “rocked” later on. More than a map, our Route 66 Historic Auto Tours brochure has turn by turn directions with mileage (in the style of Jack Rittenhouse’s 1946 “A Guide Book To Highway 66”) historical photos and facts, including information about Pulaski County’s “best 1943 curbed pavement in the state” in the Grandview area. 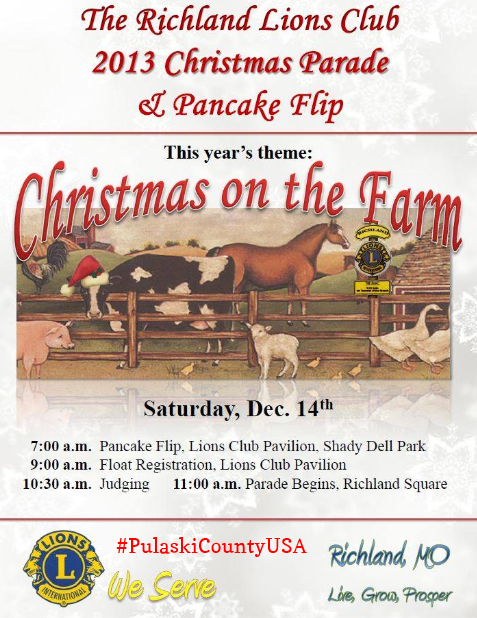 To receive your FREE brochure contact Pulaski County Tourism Bureau at 877-858-8687 or email@pulaskicountyusa.com. 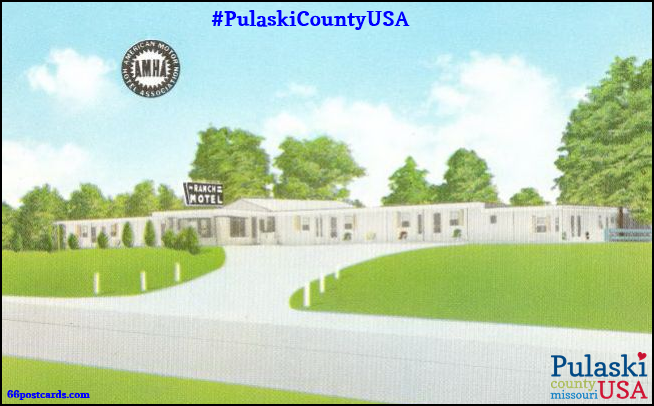 During the days of Route 66, Central Motel & Station was located in Pulaski County, between Buckhorn and Hazelgreen. It was a popular stop for travelers who were “motoring west” on the “Main Street of America”. Before Route 66 was established, the site of Central Motel & Station was well known to locals as “Dadtown”. Once upon a time in the Ozarks there was a place called “Dadtown,” which was a lively little place. It was located near Hazelgreen. In the early 1900’s Dad and Betsy Lewis built a store building and put in a general line of groceries. Since Hazelgreen was the major trading center for that day in time, he only stocked items people used often. Folks from the Bellfonte Community would come there to do their small trading. This little store become known as “Dadtown” in honor of Dad Lewis. Lewis also built a small grist mill. The mill drew customers from both Pulaski and Laclede counties to have their corn ground. Ruby (King) Doty of Lebanon remembers going to have their corn ground with her parents many times. She tells about sitting up late at night shelling corn so it would be ready to take to mill the next morning. White corn was preferred by most of the natives around here. The Dadtown store consisted of one large room with a big pot bellied stove in the middle. Dadtown Store, 1910, predated Route 66’s Central Motel & Station. 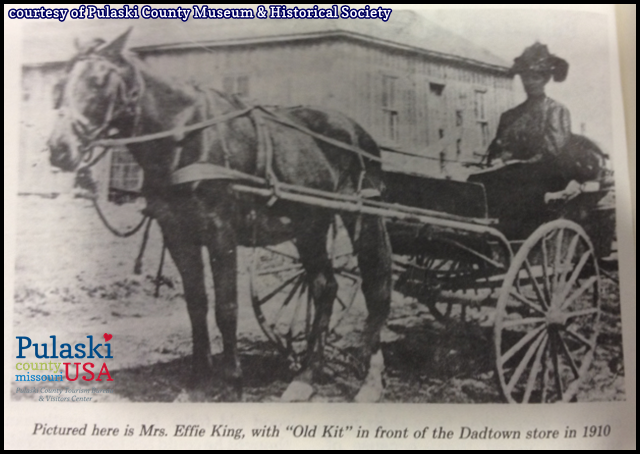 Image courtesy of Pulaski County Museum & Historical Society. The big jars of mouthwatering candy in the store was a delight to any child who came into the store. There was licorice, peppermint, chocolate and white “candy cigars” among other candies. There was a big coffee mill to grind coffee. Sugar was measured out in paper bags, as well as dried beans. Besides groceries, Dad Lewis also sold bran and seeds. A peddler would also come around selling brooms quiet often. The store was a favorite place for visiting. Dad Lewis was a type of person who enjoyed being with people. His byword was “byjacks,” and he used it a lot! The first silent movies in that community were shown at Dadtown. Marion Lewis, son of Dad, set up a large tent and had a “Wild West” Show. Folks came from miles around. Those were the first silent movies most of these had seen. There were some who thought they were “for real” and got quite shaken up! There was also a canning factory at Dadtown for a short time. In 1925 Jess Grisel put a canning factory on Jess Watson’s farm near a large spring of water. George Dougan built the factory, which was no more than a shed. About 10 or 12 were employed there. Some of these were Ollie Carroll, Sis Watson, Hazel and Flo Patterson, Lee Bowling, Alvie Powers, Noble Dougan, Marion Howell, Velma McDaniel, Elsie Howell Dougan and Syble Arnold. The tomatoes were put in wire baskets and dipped in hot water to loosen the peelings. Then in cold water and poured in a long trough. The ladies peeled and packed them into cans. George Dougan did most of the scalding: Marion Howell cooked the tomatoes in a large vat, and Noble Dougan ran the capper machine. Almost every farm in that community raised fields of tomatoes that year. The cans of tomatoes were taken to Richland where they were labeled and shipped by train to wholesale houses. Lit Patterson was the last owner of the Dadtown Store and operated the store for several years. He built up a good cream business and bought cream from farmers a long time. Dadtown Store has been gone many years, but the impact it had on those who were raised there, and the friendship of neighbors, will never be forgotten. Although Dadtown Store has been gone for many years, the site where it, and later Central Motel & Station, were is still sought out by Route 66 enthusiasts. 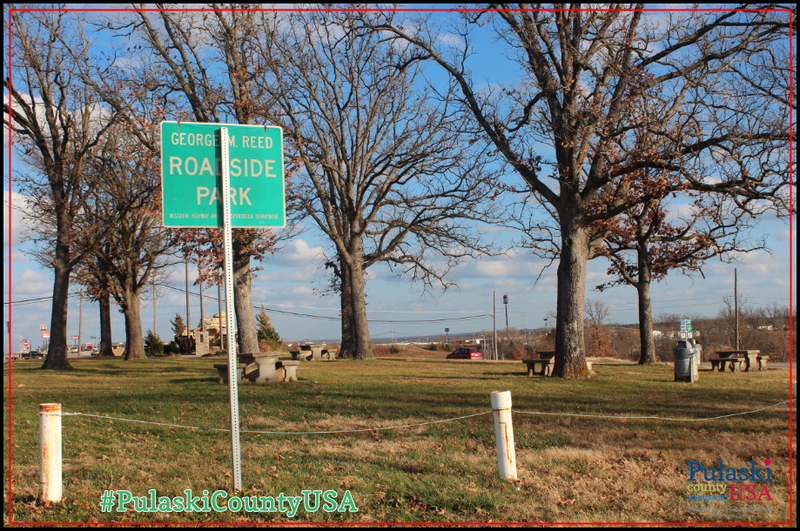 For free turn by turn directions of Pulaski County, Missouri’s original Route 66 pavement, including locations such as the site of Dadtown and Central Motel & Station, contact Pulaski County Tourism Bureau at 877-858-8567 or visit us at http://www.PulaskiCountyUSA.com. 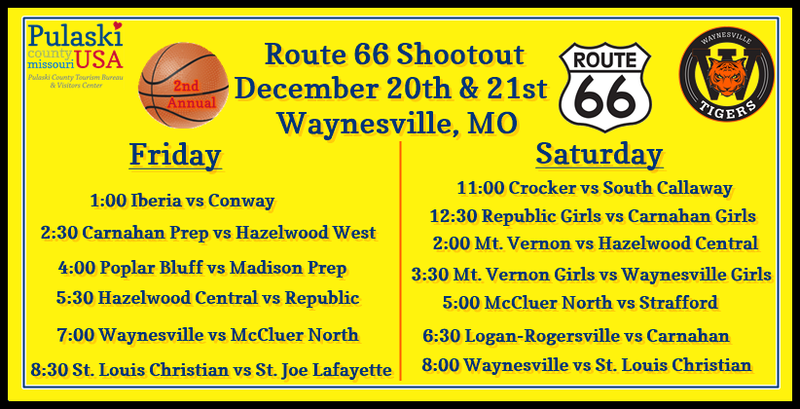 In the case of inclement weather /bad road conditions always call ahead to confirm the status of the event that you are attending. 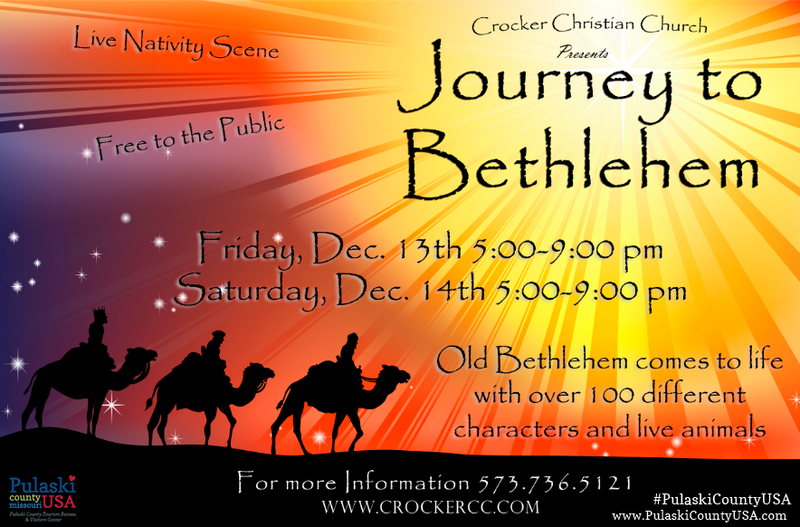 Journey To Bethlehem, a live nativity, features over 100 different characters and live animals. 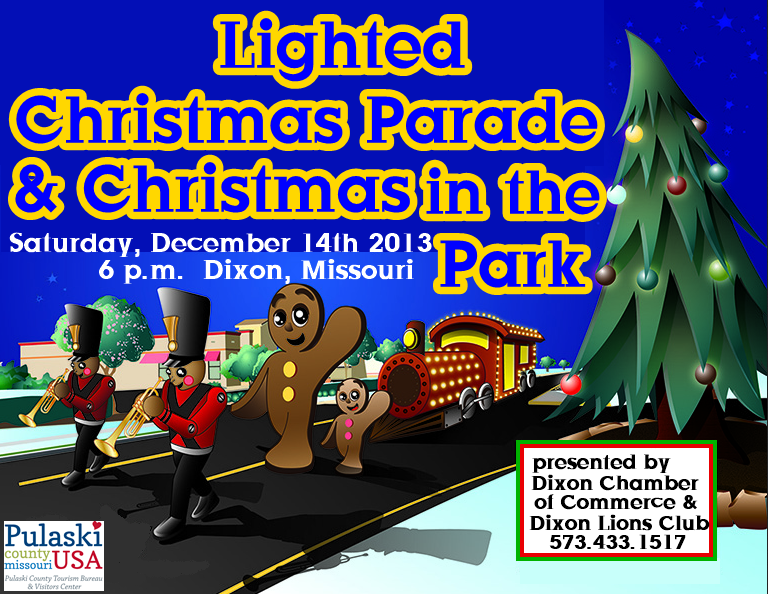 Dixon’s Lighted Christmas Parade and Christmas in the Park is the only parade held after dark in Pulaski County, Missouri. 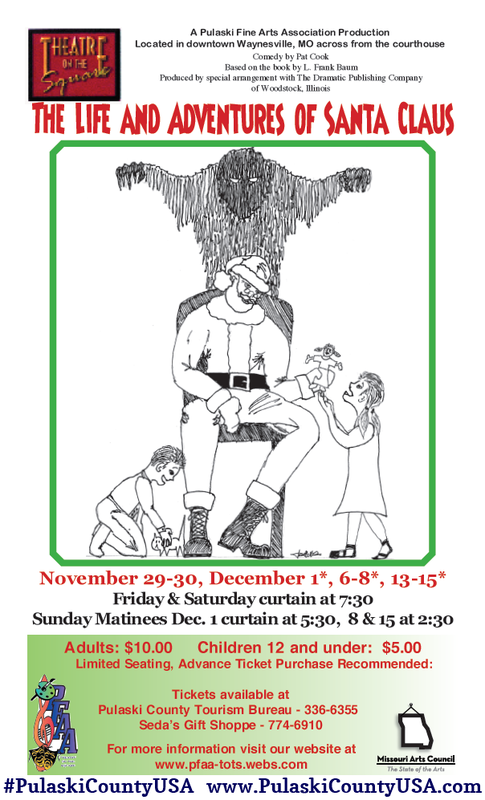 The extravaganza of Christmas lights is sure to delight! 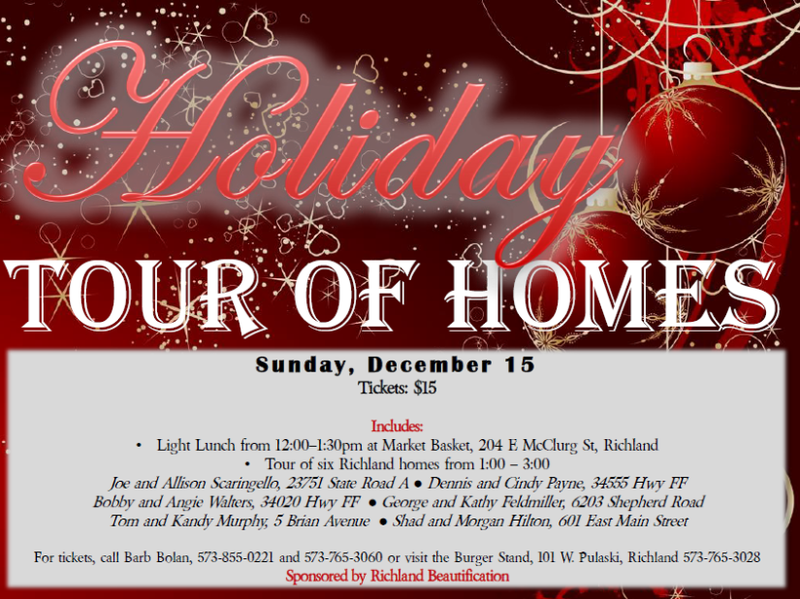 What: Tour of six homes in Richland, including the historical Market Basket residence.